It’s getting to be that time of year. Before we know it the holidays will be in full swing! 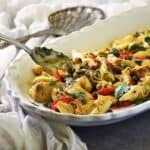 Because the holiday season is typically a busy time of year, Sunday Supper wants to make sure you have everything you need to plan delicious family meals. 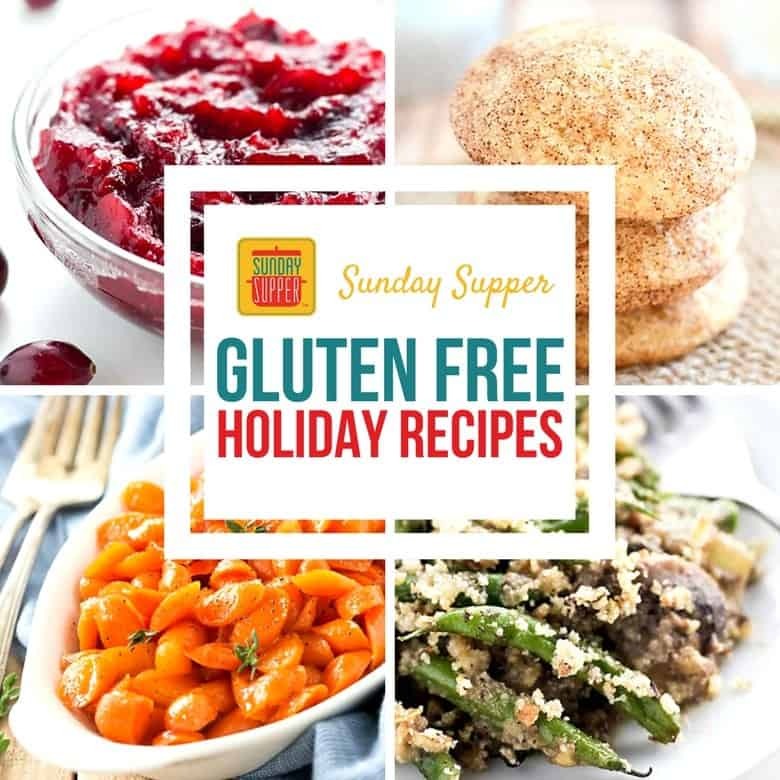 This week we are sharing stunning Gluten Free Holiday Recipes so you can rest assured your gluten free guests enjoy the holiday meal as much as everyone else. In the coming weeks we will be sharing our favorite Holiday Casserole Recipes, the best Holiday Salad Recipes, and even our go-to Winter Cocktail Recipes. Stay tuned for all of our Sunday Supper recipes to make your holiday meal planning easier! While this gluten free holiday recipes post is delicious, it’s slightly melancholy. 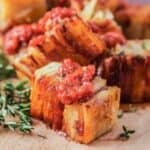 One of our dear Sunday Supper family members known for his delicious gluten free recipes passed away earlier this year. T.R. 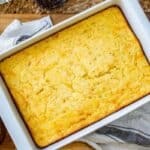 from Gluten Free Crumbley is and always will be an especially loved Sunday Supper family member. He lived a gluten free lifestyle which requires organization in the kitchen. With this in mind, our Sunday Supper event this week is dedicated to our good friend T.R. We love and miss you! 1. 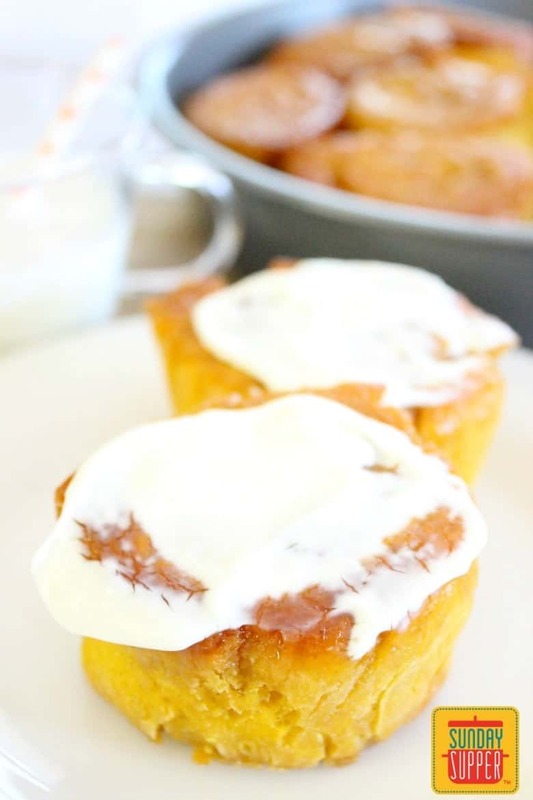 You can serve this gluten free holiday recipe for breakfast or dessert! They don’t call these the Best Gluten Free Cinnamon Rolls for nothing! 2. 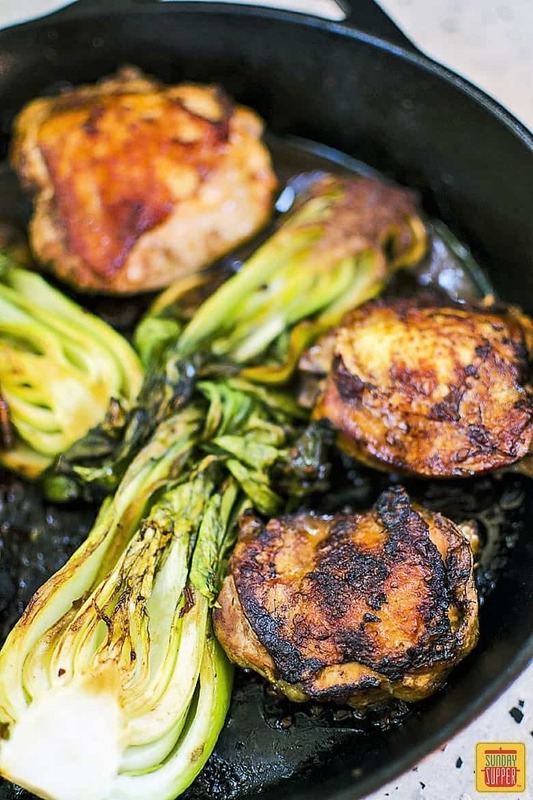 If you’re looking for something a little different to serve up for your gluten free dinner, try this Soy Ginger Chicken. 3. No holiday is complete without cranberry sauce. Wholesome Yum has made one all of your guests will devour! 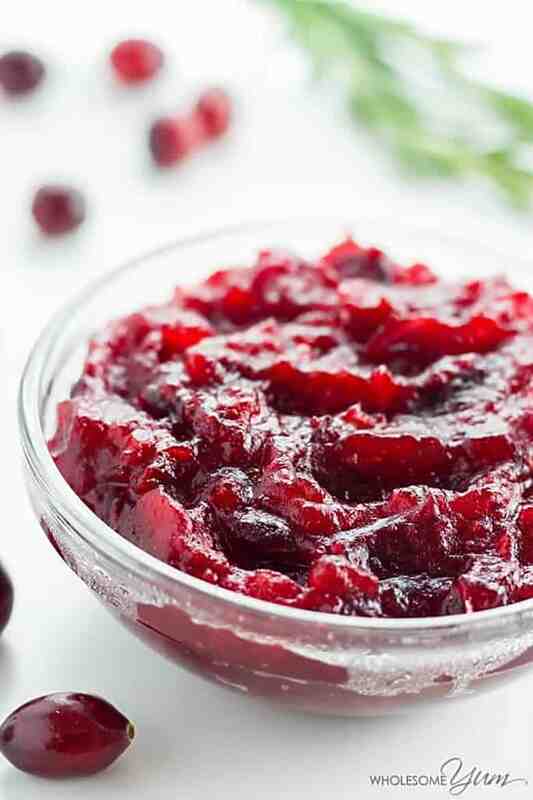 She put a hint of orange in her Healthy Low-Carb Sugar -Free Cranberry Sauce. 4. Every good holiday should start with a soup. 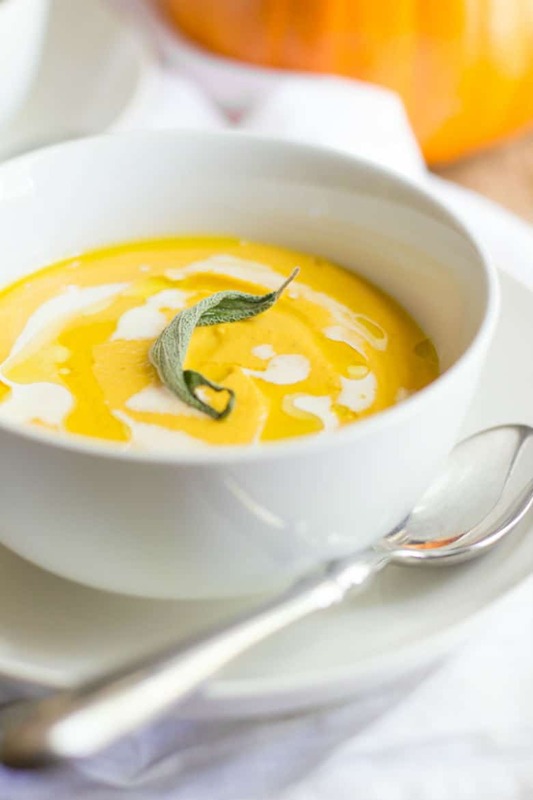 This gluten free holiday recipe for Blender Pumpkin Bisque is a perfect example! Wholefully surprisingly adds her own, homemade pumpkin puree. 5. Want something a little more bite-sized? 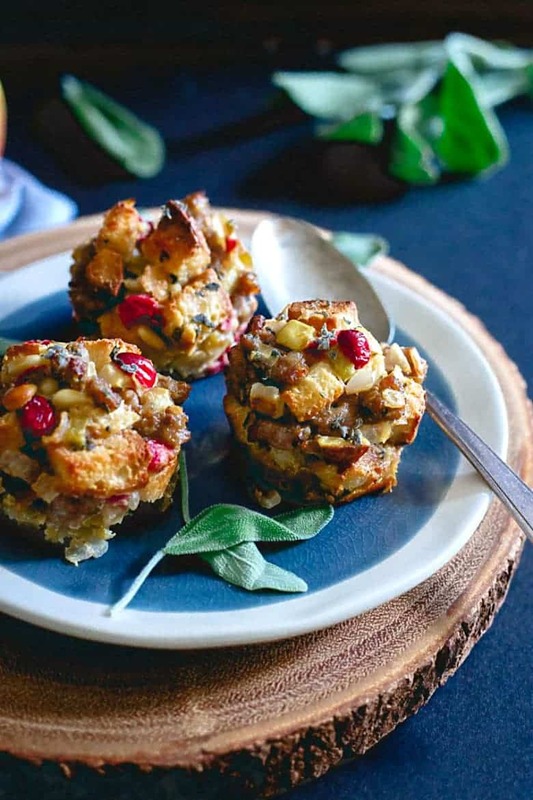 Try these Sausage Cranberry Apple Stuffing Muffins from Running to the Kitchen. 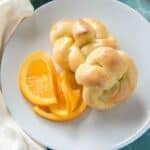 They are an especially delicious addition to your gluten free holiday recipes. 6. The holidays are not complete without the main attraction! 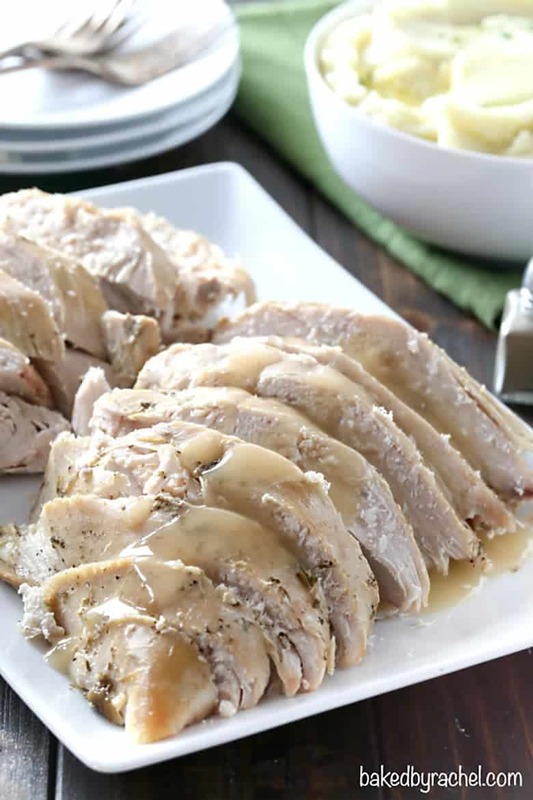 Slow Cooker Turkey Breast is one of those gluten free holiday recipes your family will request every year. Baked by Rachel ensures this one is moist and delicious. 7. 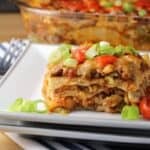 To ensure your kids will devour this recipe, Wholefully added bacon and apples to the brussels sprouts. 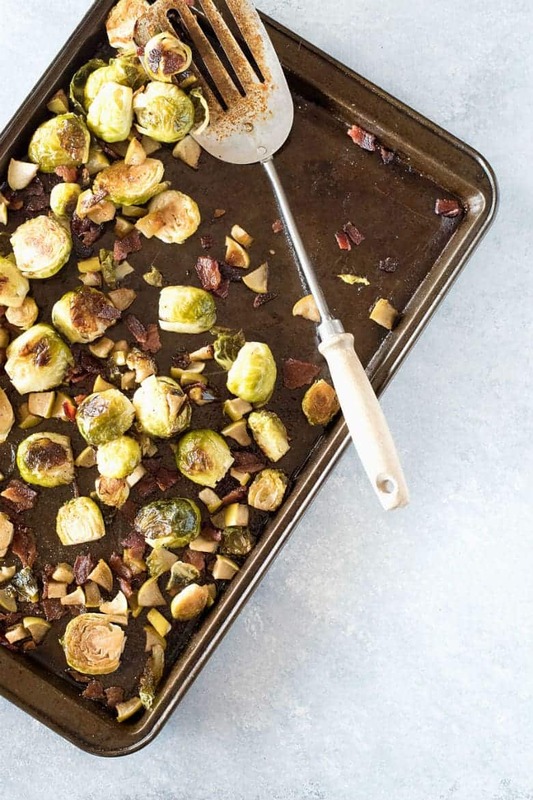 Roasted Brussels Sprouts with Bacon and Apples is surprisingly easy to make and truly delicious. 8. 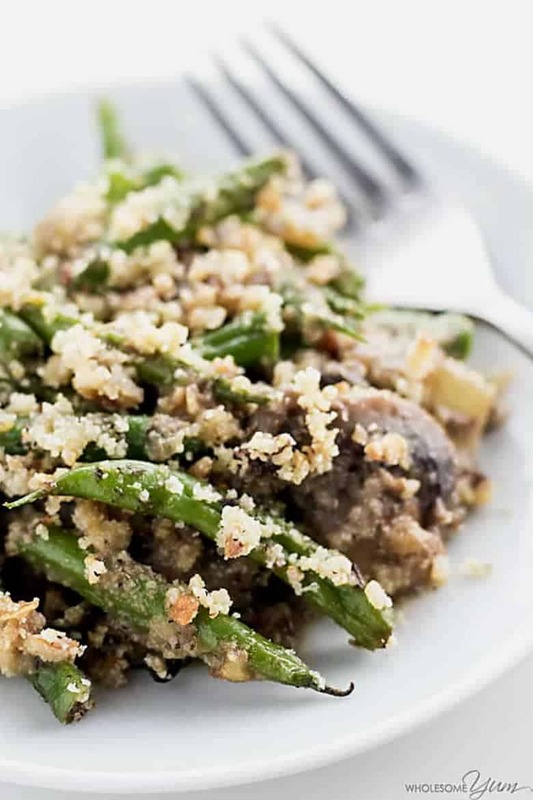 This Low Carb Gluten-Free Green Bean Casserole is a perfect example of a delicious gluten free recipe. Wholesome Yum uses homemade mushroom soup to ensure her casserole tastes amazing. 9. Cornish hens are not your typical holiday fare. 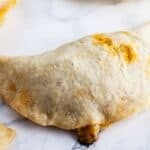 However, they are particularly delicious when stuffed with cranberries and apples. 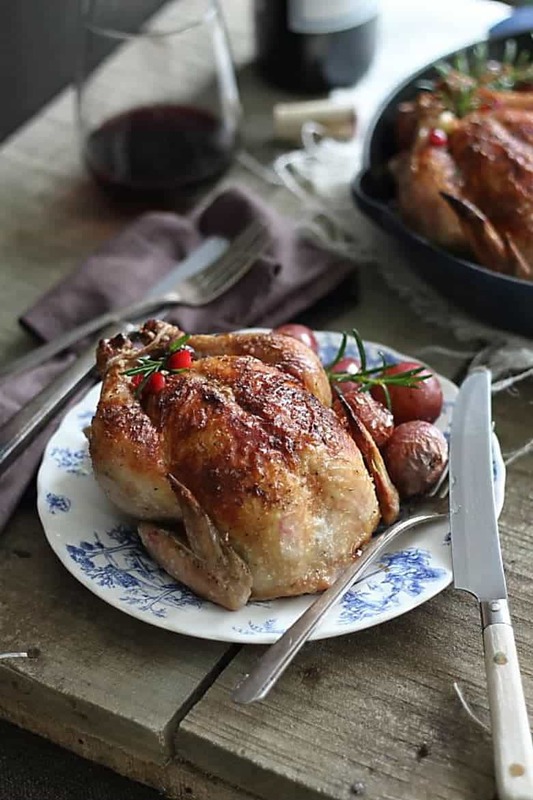 These Cranberry and Apple Stuffed Cornish Hens from Running to the Kitchen is one of those gluten free holiday recipes you will love. 10. Your guests won’t know this is gluten free. 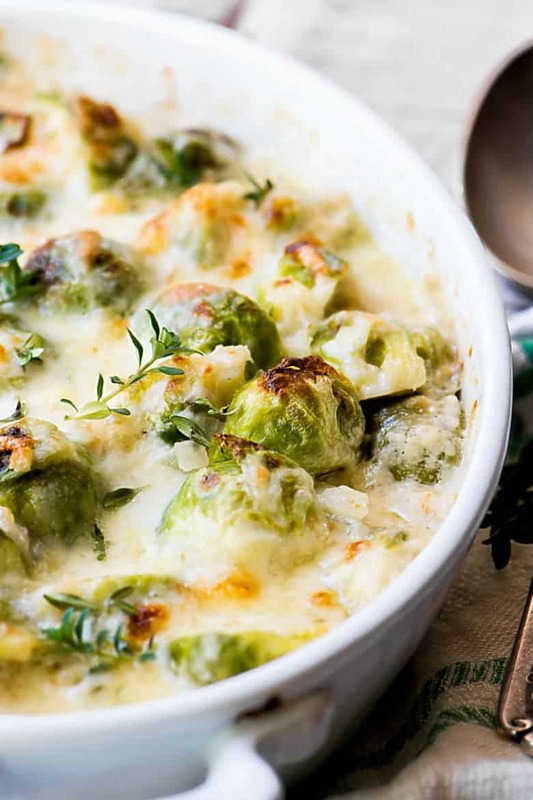 Creamed Brussel Sprouts is one of those gluten free holiday recipes family and friends will request year after year. The View from the Great Island combines sprouts, cheese, and spices for this exceptional side dish. 11. 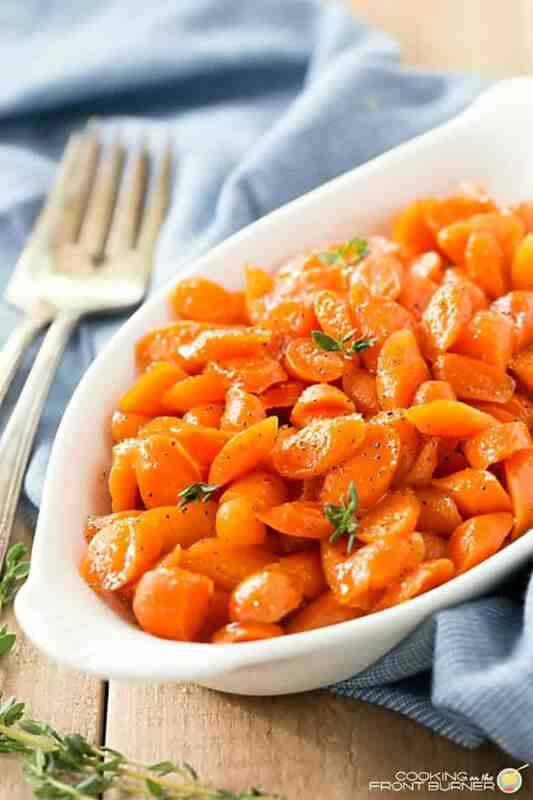 Roasted carrots can taste like candy! That’s why these Bourbon Honey Glazed Carrots are a favorite gluten free holiday recipe for my family. Cooking on the Front Burners makes these carrots taste like candy and not a vegetable. 12. 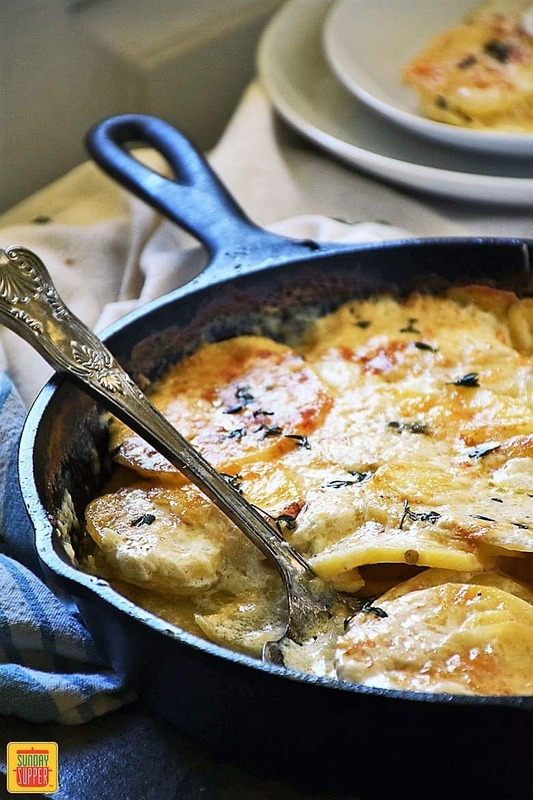 Potatoes and cheese a a perfect holiday pair! That’s why this recipe from Baked by Rachel is perfect for the holidays. 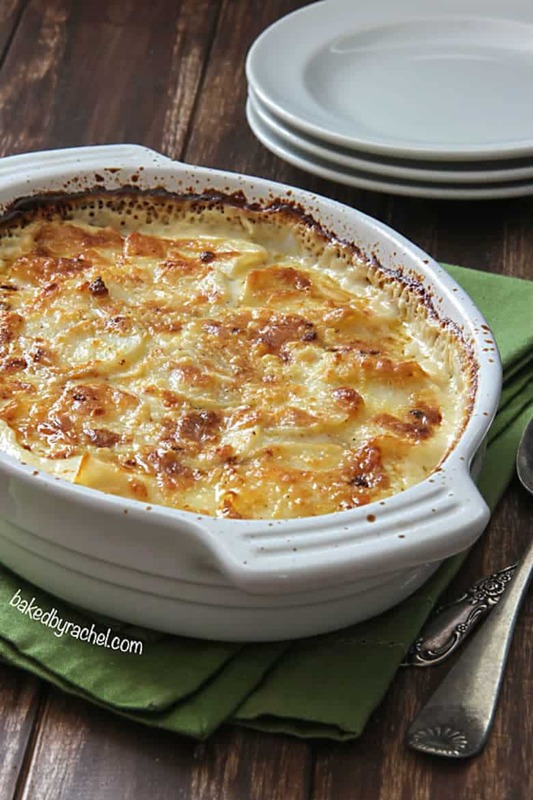 Her Four Cheese Garlic Scalloped Potatoes are full of rich flavors. 13. 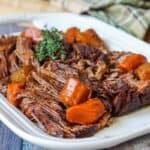 Nothing screams gluten free holiday recipes like an amazing roast beef. 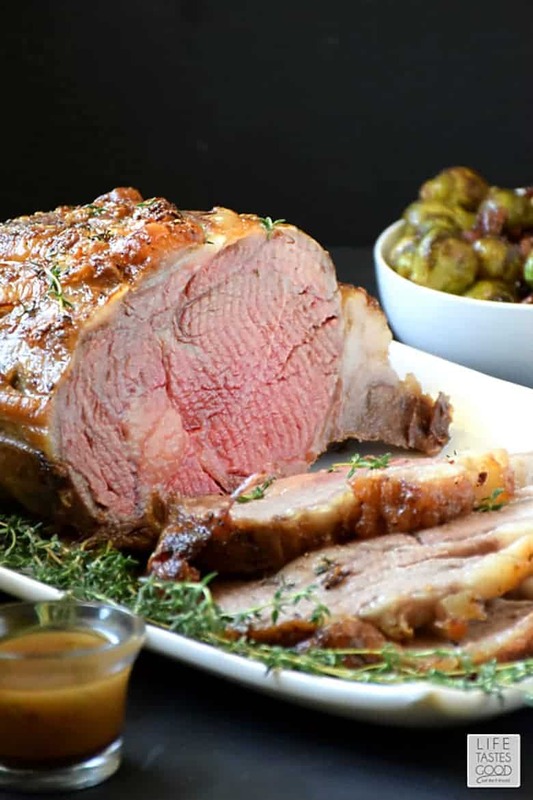 Life Tastes Good kicked hers up by using Certified Angus Beef in her Garlic Crusted Prime Rib Roast. 14. And then there’s dessert. Julie’s Eats & Treats made not only a gluten-free dessert, but a skinny one at that! 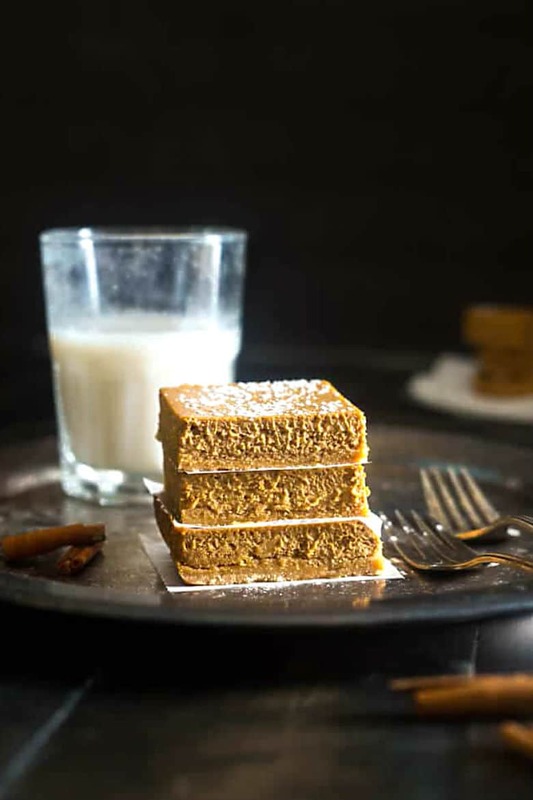 Her Skinny Gluten Free Pumpkin Cheesecake Bars will satisfy any sweet tooth after the holiday feast. 15. Cranberries aren’t your typical dessert. However, this is one of those gluten free holiday recipes you have to try for yourself. 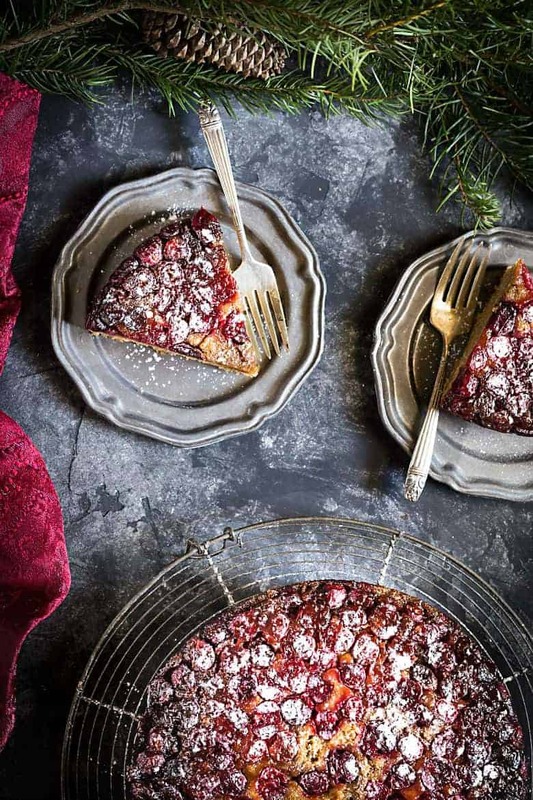 Noshtastic created a killer Gluten Free Cranberry Upside Down Cake for her holiday guests. 16. And then there’s the cookies! 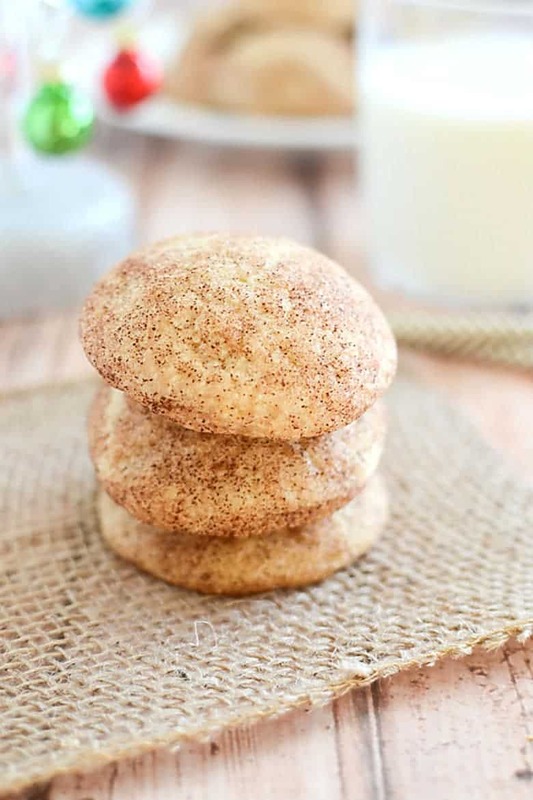 You can’t have the holiday without cookies like these Gluten Free Snickerdoodles. Fake Ginger used a gluten free baking flour for these delicious cookies. 17. Stained glass cookies are so elegant looking. 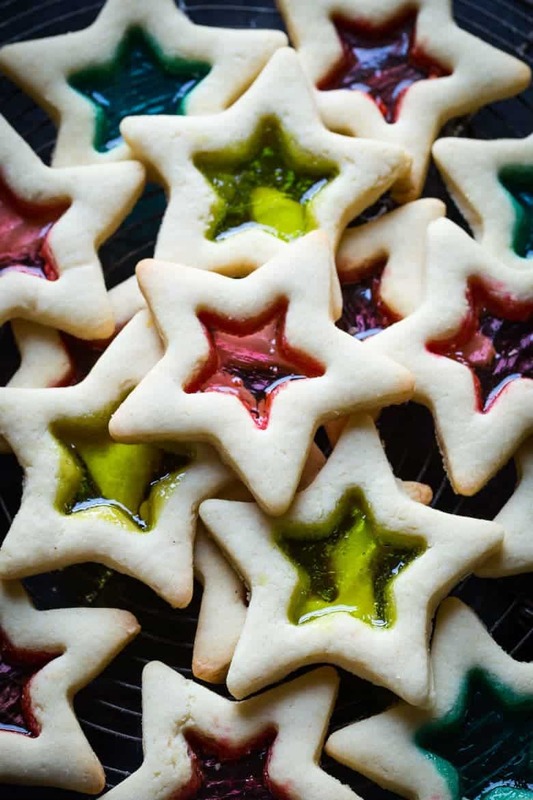 These Gluten Free Stained Glass Cookies are no exception. 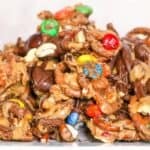 Noshtastic uses popular candies for interesting flavors in her cookies. 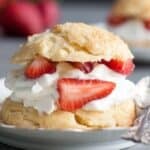 Need more gluten free holiday recipes? 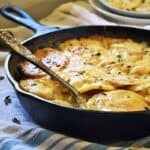 Try these Gluten Free Au Gratin Potatoes!